Daily Illini: 1963-66; sports editor, 1964-65. B.S. Communications, 1966. M.S. Journalism, 1968. 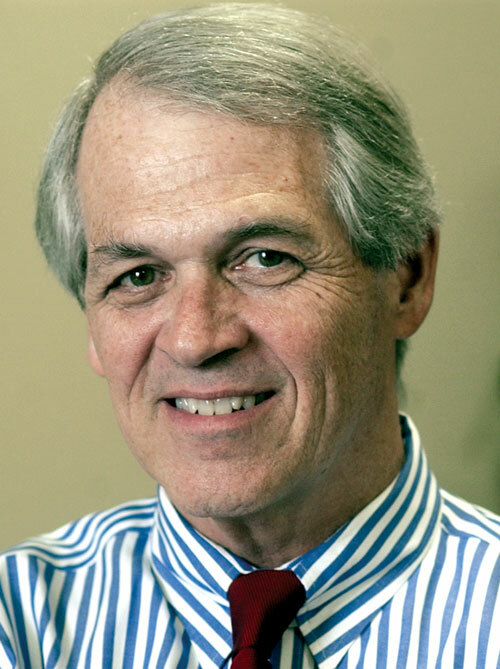 Larry Beaupre has been a leader in the newspaper industry for more than two decades, serving as the top editor of two metro papers during his career. Beaupre started his professional career with the Gannett Co. and worked his way up to become managing editor of the Times-Union in Rochester, N.Y., from 1980-84. In Gannett, Beaupre went on to become vice president and editor of Gannett Suburban Newspapers (now The Journal-News) in Westchester County, N.Y.; vice president and editor of The Cincinnati Enquirer; and a news executive at Gannett’s corporate news division, where he coordinated the writing of a code of ethics for Gannett’s daily newspapers. While at the Enquirer, Beaupre was named Gannett’s “Editor of the Year” in 1988, and three times he led newspapers to win Gannett’s Most Improved Newspaper award. Since 2000, Beaupre has been the managing editor of The Times-Tribune in Scranton, Pa., and executive editor of Times-Shamrock Communications, a family-owned media company with more than 40 print and radio outlets. Prior to his work at Shamrock, Beaupre was an independent newsroom consultant, working with newspapers in Scranton, Wilkes-Barre, Pa.;Bakersfield, Calif.; and other locations. He is a former national president of the Associated Press Managing Editors, where he was an officer or board member for 20 years, and former president of the New York State Professional Journalists. Beaupre has conducted professional workshops at the American Press Institute, Poynter Institute for Media Studies, Canadian Professional Journalists, Suburban Newspapers of America as well as numerous universities and other organizations. This bio was written at the time of Larry Beaupre’s inauguration into the 2006 Illini Media Hall of Fame. Mr. Beaupre died in November 2012.